2011 Grapplers Quest Beast of the East Grappling Championships. 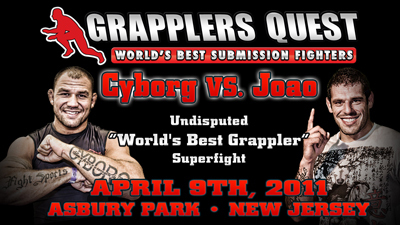 The 6th Grapplers Quest Beast of the East will feature 300 divisions in Grappling, Jiu Jitsu, Wrestling, Judo and Sambo will be hosted in ASBURY PARK, New Jersey at The Asbury Park Convention Center, one of the most historic venues in the great state of New Jersey for various style events for all ages and skill levels. Purchase Discounted Will-Call Tickets, save now – why pay more at the door? Next post Lepri analyses season: “To win the Worlds again, I’ll have to sweat”. Previous post Black Belt Santa in Las Vegas.